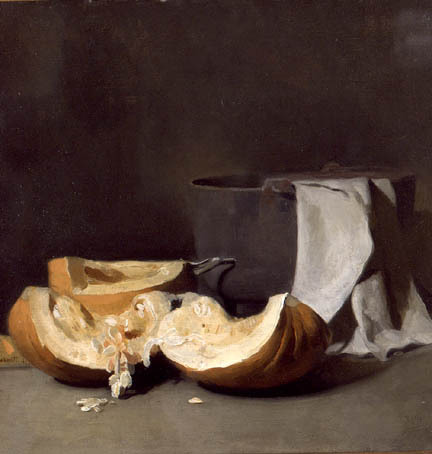 Carl Schmitt, Pumpkin with Iron Pot, c. 1914, oil on canvas, 20 x 20 in. Carl Schmitt’s earliest professional work was done from the time he graduated from the National Academy of Design in New York at the age of twenty-one, through to about 1914, when he left to finish his studies in Florence, Italy. 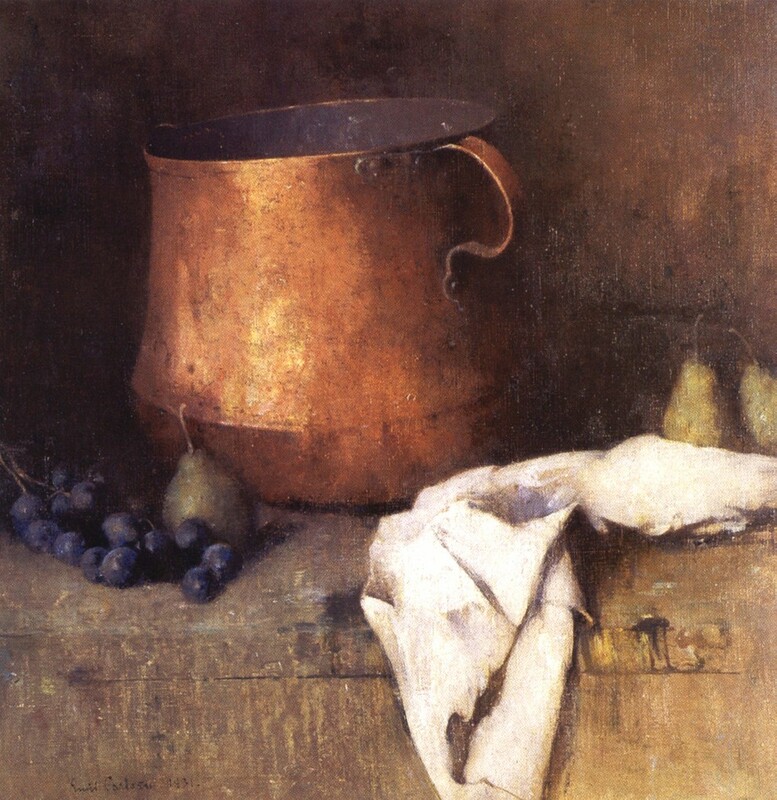 Here we see the influence of his teachers at the Academy, especially the Danish-born still life master Emil Carlsen (1853-1932), whom he admired perhaps more than any other instructor. Emil Carlsen, The Copper Pot, 1931, oil on canvas, 18 x 18 in. The handling of light is the focus of this early stage. Although the quality of light appears throughout all of Schmitt’s work, here light contrasts with darkness in more traditional ways. Unlike his other paintings, these early works do not reveal his usual characteristics where rhythmic forms, lyrical design, bright colors, spatial values, and dramatic focus are constructed out of layers of various modeled and glazed colors. Instead, the painting strokes themselves create the form. Pumpkin with Iron Pot displays Carlsen’s simplicity of flat pattern design seen in the pot and backdrop differentiated by the brilliance of light in the cloth and pieces of pumpkin. 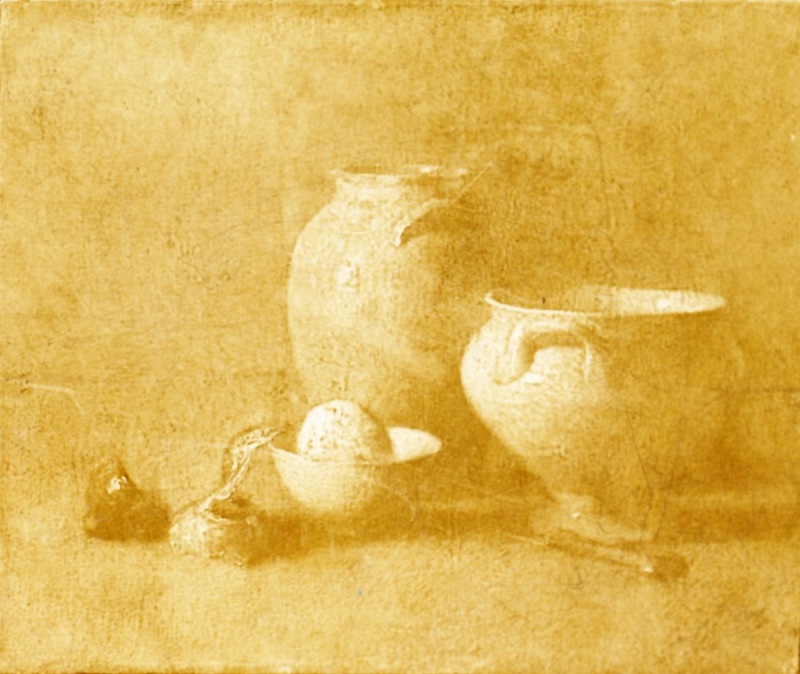 It has a quality of light similar to what Schmitt often spoke of as the genius of the eighteenth-century still-life painter Jean-Baptiste-Siméon Chardin, that of revealing the beauty of soft light falling on an object, especially bottles. 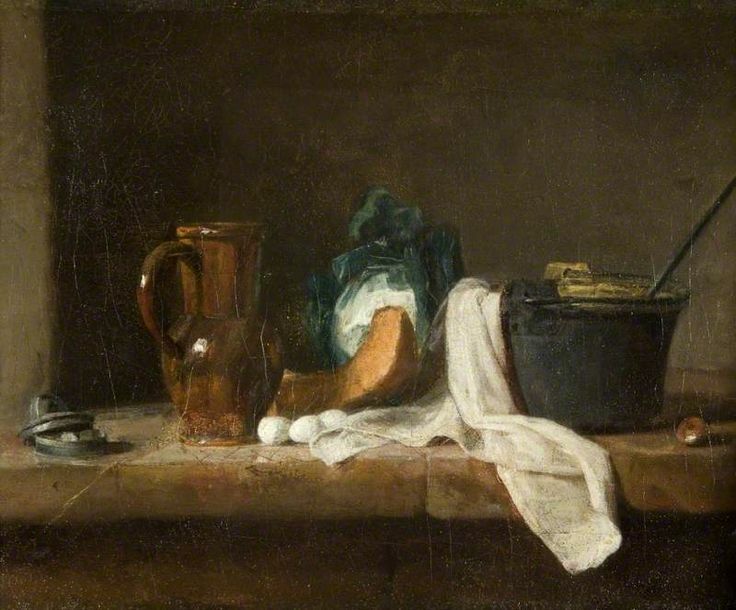 Chardin, Still Life, c. 1730, oil on canvas, 11 x 14½ in. Perhaps this is where Schmitt learned to love the quality of old glass bottles seen in so many of his later still lifes. He obtained specimens of this glass from various shops during his travels and from foundations of old ruined houses he came upon during his walks around Silvermine. To enhance that quality of light on these bottles, he took care not to disturb the dust that would collect on them, especially after he had set them carefully in a still life arrangement. These bottles may still be found in the studio in Silvermine. 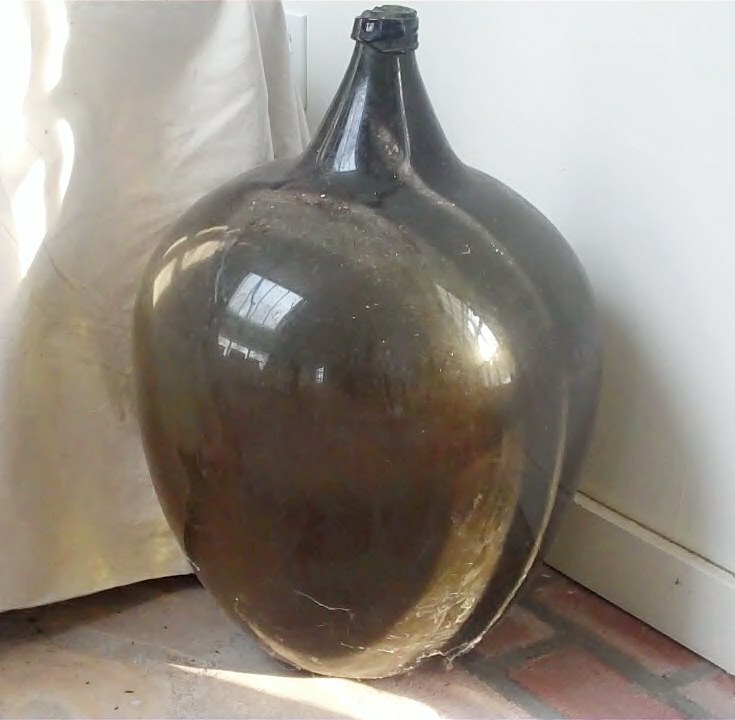 Pumpkin with Iron Pot was in the artist’s possession until the early 1980s, when it was acquired by the Hartford Steam Boiler Inspection and Insurance Company as an addition to its collection of paintings and other works by Connecticut artists. 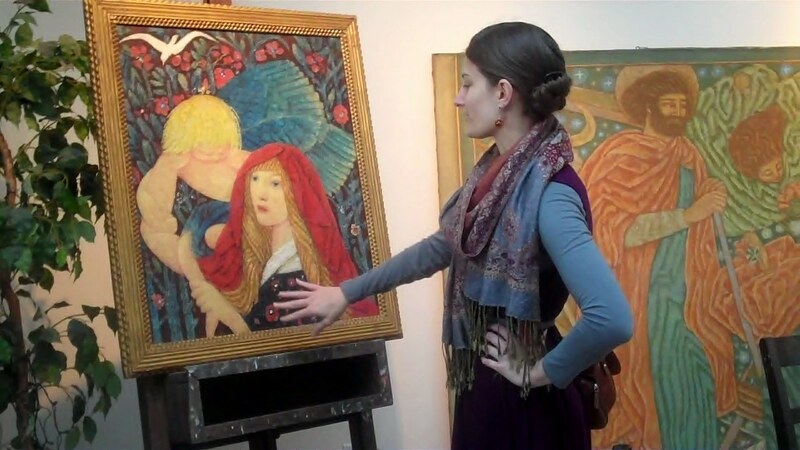 In 2001, the Company gave its entire collection to the Florence Griswold Museum in Old Lyme, Connecticut. The museum included Schmitt’s painting in an exhibition of works from the Hartford Steam Boiler Collection the following year and featured it in its illustrated catalog, The American Artist in Connecticut. Portrait Study (Self-Portrait), 1915, oil on canvas, 20 x 18 in. 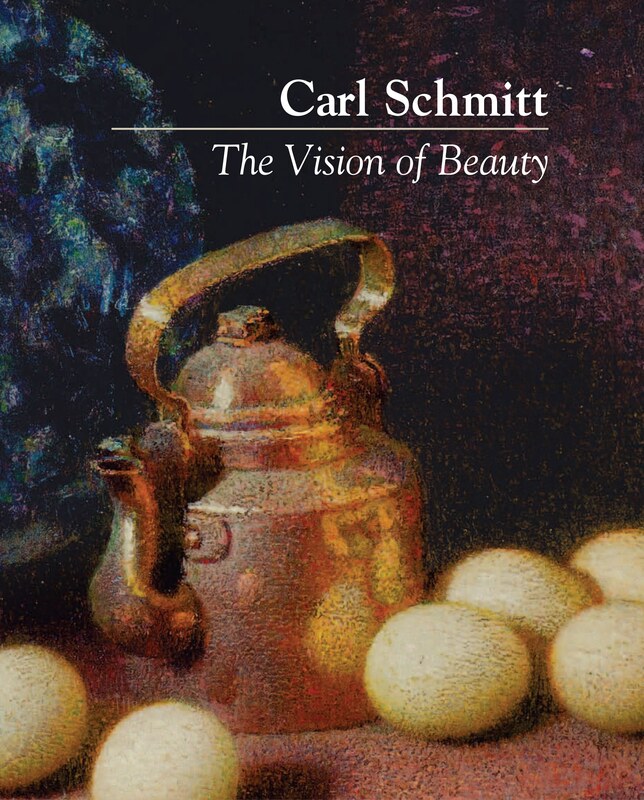 Certainly, “pictures are meant to be looked at.” This series does not aim to “explain” Schmitt’s pictures as much as present their “language.” A familiarity with this language can help reveal depths of splendor beyond what we may be able to absorb on a first encounter with his works. This painting is not typical of Schmitt’s work. If one looks closely, one observes that the paint does the work, that is, each stoke applied creates line, light, color, and form. 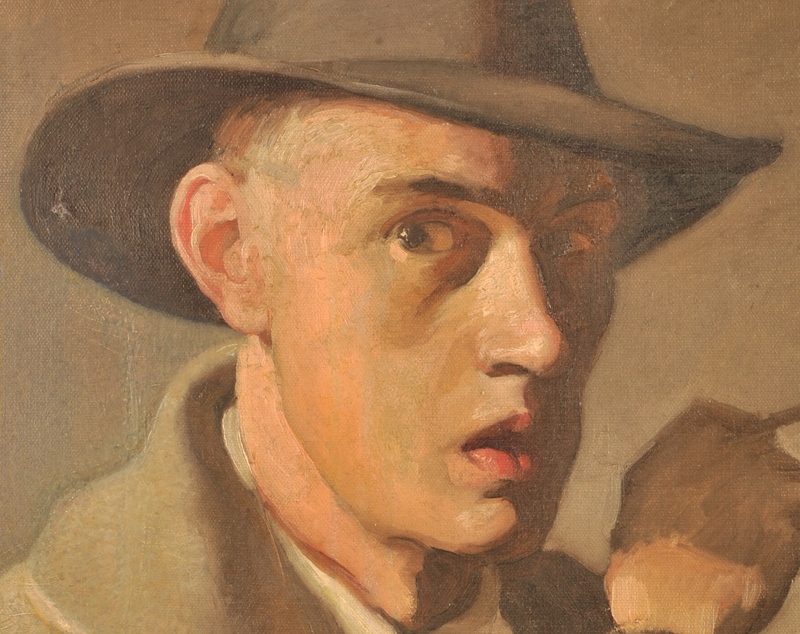 The artist’s approach evidently was to draw an under-painting in burnt sienna (as seen in another self-portrait done around the same time) and then add local color to express the quality and values of the forms depicted. Self-Portrait, oil on canvas, 24 x 20 in. An unfinished work showing the first layer of under-painting. It is not known why this painting was not completed. A lyrical movement is expressed in the oval lines of the hat, repeated in the collar, the shoulder, arm, the line of the chin, and nose. These are offset by the movement of the forearm and hand. One is caught by the candid immediacy of the facial expression observed in the eyebrow, the glancing but penetrating eye, and the parted lips. One is also struck by the facial movement generated by the outline of the forehead, the nose, lips, and Adam’s apple carried through to the tip of the shirt contrasted with the darker left side of the face. This same idea is seen in the handling of the line of the ear in contrast to the dark pattern of the hat. Both of these line techniques permit a sharp facial contrast without the traditional dark background. The more one studies this work the more one sees the cleverness of its repetitious rhythmic line, its patterns of light and shade through which the artist captures the content and form of the subject as though by surprise. Over the past few years, people from as far away as Hawaii have contacted me, eager to tell about the work of Carl Schmitt that they own. Naturally, I am gratified to hear of those who appreciate Carl Schmitt and want to learn more about his work and further his legacy. More importantly, those who contact the CSF in this way do a tremendous service to everyone interested in Schmitt. Study for “Reading,” 1936, pastel on paper, 23 x 19 in. A pastel sketch of the artist’s wife Gertrude (sitting) and her close friend Margaret Ryan, later executed as an oil painting for the Works Progress Administration (WPA) in the mid-1930s. The location of the oil painting remains unknown. Although the Foundation makes every possible effort to locate Schmitt’s unknown works, many are effectively “lost,” or untraceable, and will remain so until the owners themselves contact the Foundation. The photographic record, as well as details about Schmitt’s works (dimensions, signature, date and other markings) supplied by these individuals are invaluable in building up our catalog raisonné, revealing more of the artist’s stylistic development and his contribution to art in the twentieth century. For this we are very grateful. Schmitt’s “lost” works include paintings, pastels, etchings, and drawings; most date from the first half of his career (1906-1940). The Foundation’s archives hold valuable clues that can help in the search, including exhibition history, critical reviews and other press reports, the last known owner, and in a few cases, photographs of the work. We will explore this record in the next few weeks, highlighting his imaginative and religious paintings. We will also be looking works which have been “found” by those who have contacted the Foundation with information about their painting or pastel. 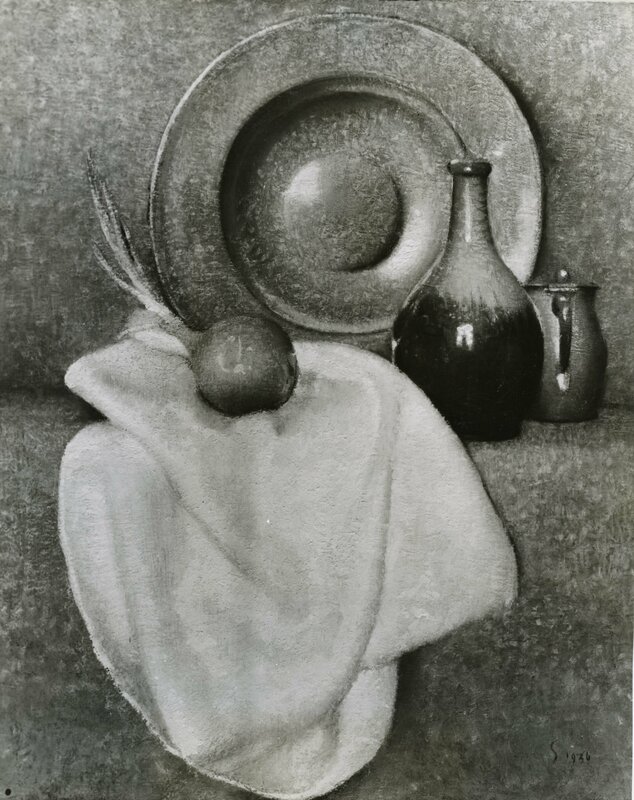 One of three still life paintings done for the WPA in the mid-1930s. In this post we focus on some of Schmitt’s early works, culminating in an important portrait commission from the 1930s. 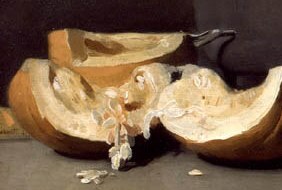 One of Schmitt’s early still lifes, possibly Opus Minor No. 1 or another entitled Study (1912), from a photograph in the Carl Schmitt Foundation archives. Aspiration – Symbolic Decoration, 1912 (oil over tempera) — This work was commissioned by W. D. Packard of Warren, Ohio, founder of the Packard Motor Car Company. Packard was so pleased with the work that he commissioned a second painting the following year, Shadow Dance – Rondeau. Packard also commissioned Schmitt to paint his own portrait, which was to hang in the office of the park he left to the city. No trace of any of these paintings has been found. Ruth, 1916 (oil on board, 25 x 30 in.) — One of several commissioned portraits Schmitt did for well-to-do citizens in his hometown of Warren, Ohio, and the surrounding area in the early years of his career. 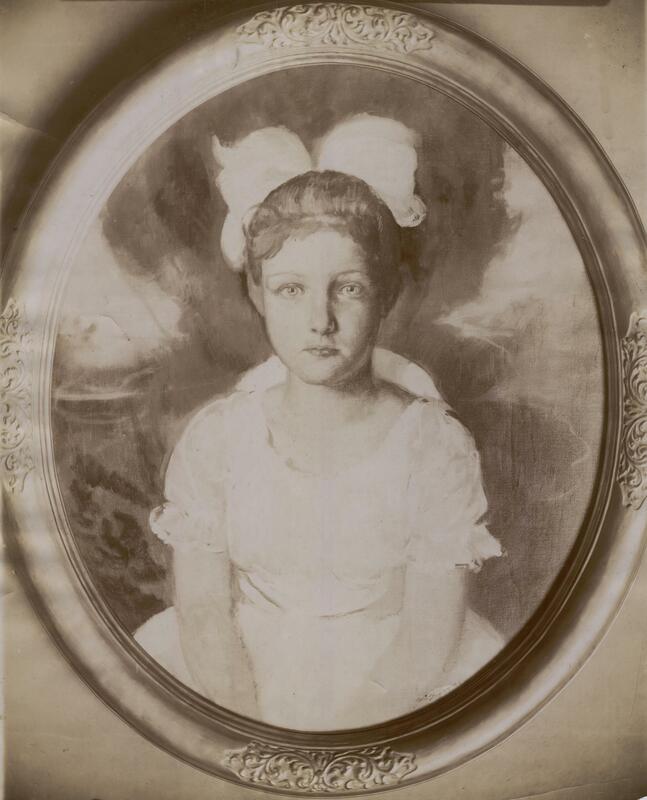 This painting, a portrait of the young daughter of a doctor from Youngstown, is his only known oval painting. Ruth, 1916, oil on board, 25 x 30 in. The frame is an early example of the work of Carl’s brother Robert, who had recently completed his apprenticeship with Herman Dudley Murphy at the famed Carrig-Rohane shop in Boston. In 1920, the painting was bought by Samuel Prentiss of Winona, Minnesota, a former client of Schmitt’s father-in-law, the architect Austin W. Lord. Lord had designed a handsome Georgian mansion for Prentiss in 1912, one of a pair built for him and his brother-in-law Frederick Bell. The house was recently restored. One of six paintings done for the Works Progress Administration. Paintings and pastels done for the Works Progress Administration, 1934 — Schmitt executed six works in oil for the Depression-era program: three still lifes, one imaginative, one portrait and one religious painting. He also completed eight pastels. The state of Connecticut distributed these works to various state institutions, including sanatoriums, hospitals, and colleges. All of the institutions to which Schmitt’s paintings were dispersed have since closed or been transferred to different agencies, and the artwork has been lost long the way. The Connecticut State Library’s WPA Art Inventory Project has been trying to track down and recover these works through a database with information on the artwork from WPA files, including the work of Carl Schmitt. 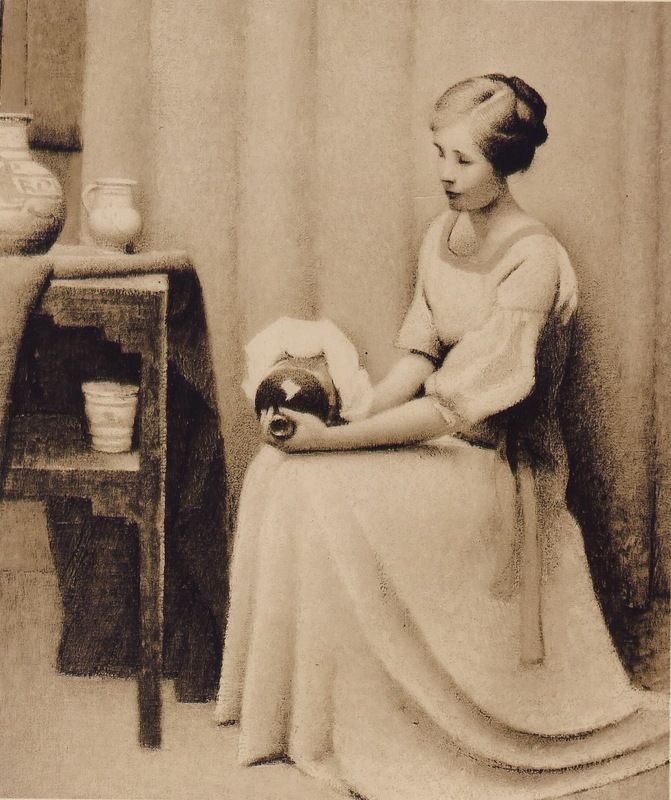 Tanagra and Vase, two versions, both oil on canvas, c. 1934. The painting on the right (taken from a contemporary black-and-white photograph) was done for the WPA; its companion on the left, done around the same time, is owned by one of Schmitt’s grandsons. 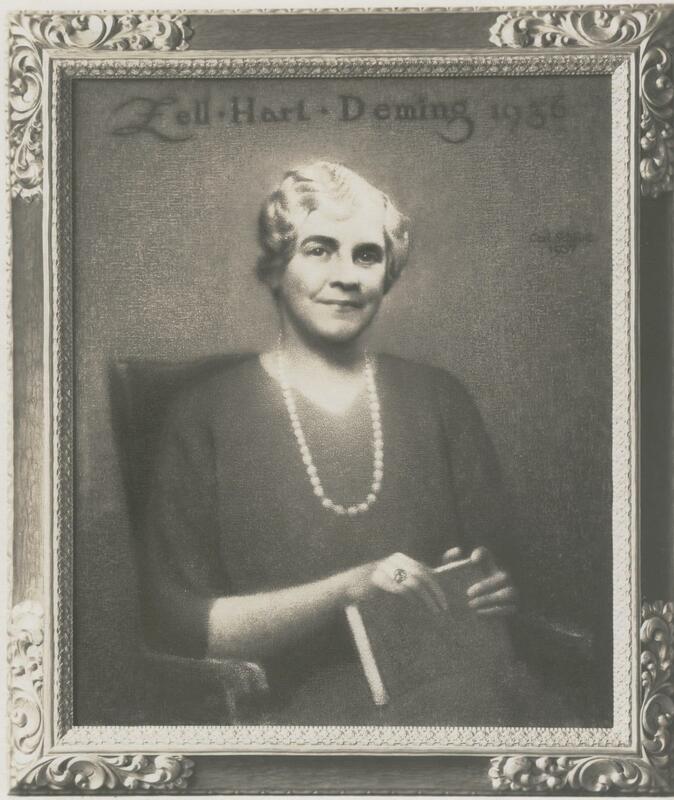 Portrait of Zell Hart Deming, 1937 — Deming, owner and editor of Schmitt’s hometown newspaper, the Warren Tribune, was the first of Schmitt’s patrons and a life-long friend. The first editor-owner of an American newspaper and the first woman to be a member of the Associated Press, Deming funded Schmitt’s study in New York at the National Academy and his trip to Italy a few years later. Over the years she purchased or arranged the sales of over twenty of Schmitt’s oil paintings and dozens of his pastels, etchings, and drawings. She also introduced Schmitt to her godson, the poet Hart Crane, and helped arrange Schmitt’s guardianship of Crane in New York in the early months of 1916. An inquiry to the newspaper as to its whereabouts proved fruitless. Schmitt produced two versions based on the same photograph, one shown here and another now in the Carl Schmitt Foundation studios. Next week we look at several “imaginative” paintings from the 1920s whose locations remain unknown. One hundred years ago, Carl Schmitt was in Italy, staying with the Grazzini family in their villa above the town of Fiesole in the northern region of Tuscany. Since his arrival in Italy in the spring, the artist had been hard at work, sending a large shipment of paintings and pastels to his patron, Zell Hart Deming, in Warren, Ohio, before venturing on a series of scenes of Fiesole and the surrounding countryside. 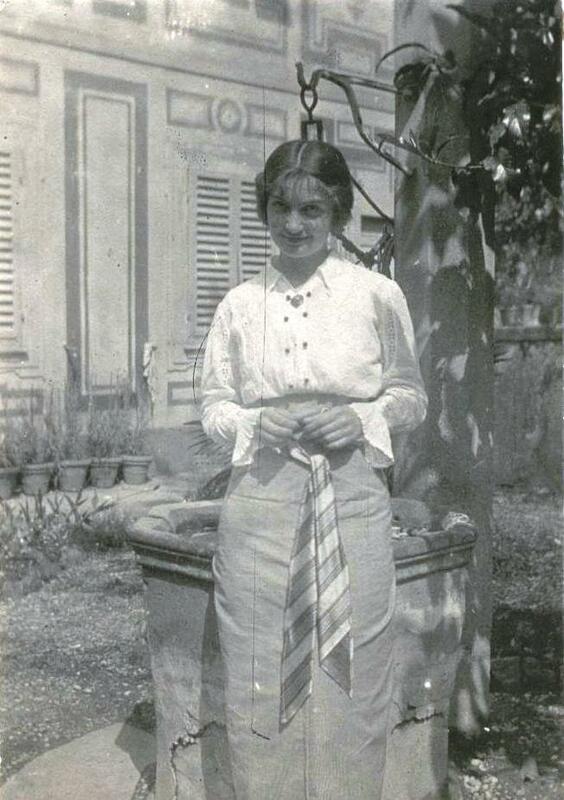 Schmitt’s portrait of Dr. Grazzini’s lovely daughter Luisina would be shown at an exhibition in Florence in the fall. In early August the artist’s seemingly idyllic life was shattered by the outbreak of war between the great powers, and before the week was out large numbers of refugees from Germany flooded the northern part of Italy. In the face of the conflict Schmitt would move to Florence, then to Rome, and finally to Naples, whence he sailed back to the United States in early February, 1915. Deming saw fit to publish Schmitt’s letter to his parents in his hometown newspaper, The Warren Tribune, on August 10. 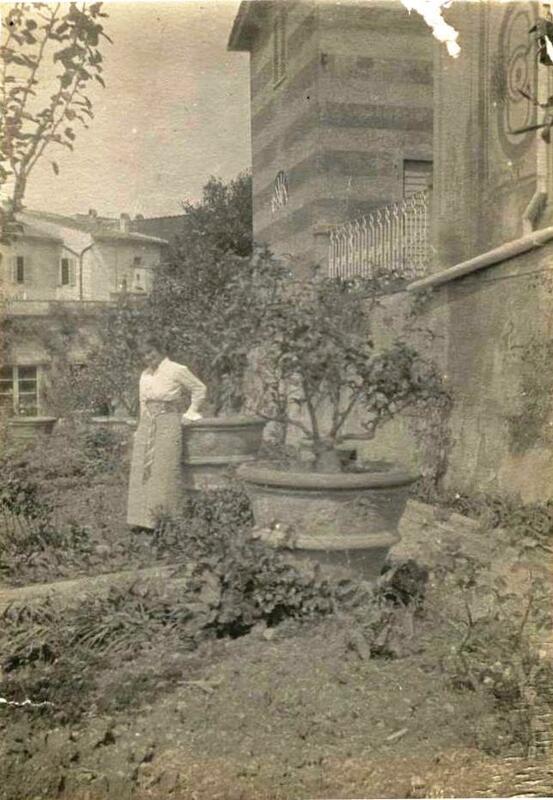 Luisina Grazzini at her father’s villa, summer 1914. The situation here is very serious and will very likely be worse as soon as prices are going up rapidly. I am still living at Dr. Grazzini’s villa. Many Americans are here and I have seen several hysterical women who have no money. Many of them are school teachers and all are stranded. But you probably know more about it than I do. The papers have given hardly any victories to Germany but I fear they are making headway. I wish I might get a letter from home. I have no idea how long we shall be without mail for how long before this will reach you. Meantime I am working as hard as the weather will permit. Self-portrait sketch, dated January 20, 1915, while Schmitt was in Naples awaiting his boat home to America. We should be all right if anyone has any money. The Italians can’t draw their money out of the banks, so they are nearly as hard up as the Americans and English here. The northern cities are full of Italians, English and Americans who have been expelled from Germany and other countries at war. All these refugees depend on the charity of the Italians. The Grazzini Villa is filled to overflowing. I have been having a gold crown put on a tooth I broke and my dentist had great difficulty in getting enough gold in Florence for it. All Europe seems to be extremely hostile to the Prussians and the stories that come from the north are terrible. The charming Luisina in the garden.